Qlik offers a complete solution that can be customized to suit your organization’s needs to solve the most complex business problems. Infozone is an award-winning, globally recognized, QlikView and Qlik Sense focused consulting partner with unmatched tenure, expertise and the ability to turn data into repeatable, actionable insight using modern UI visualization. We offer Qlik solutions to help businesses visualize and explore information, generate insight and make better decisions. Qlik was founded in Sweden in 1993 with the goal of solving real problems for all types and sizes of businesses and organizations. 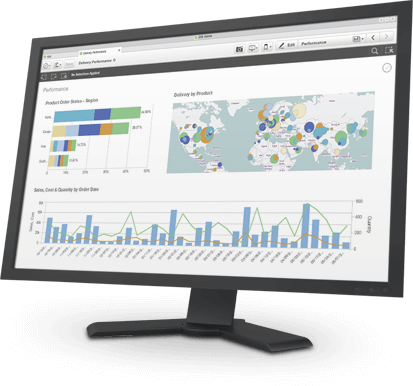 The Qlik data analytics platform offers powerful self-service visualization, guided and embedded analytics and reporting capabilities to over 45,000 customers worldwide. Qlik has been and is a pioneer in user-driven Business Intelligence. 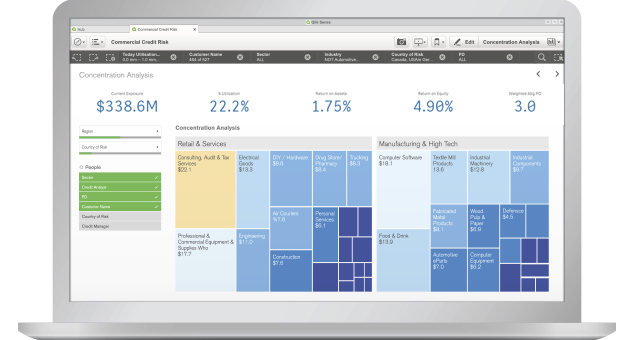 Their products QlikView and Qlik Sense are today’s leading Business Discovery platforms. They associate data in a simple way giving the possibility to visualize easy-to-understand relationships between many different data sources. Qlik’s tools are incredibly flexible and scalable, which is one of the reasons that Qlik customers are very satisfied with QlikView and Qlik Sense, as well as the business value they deliver. 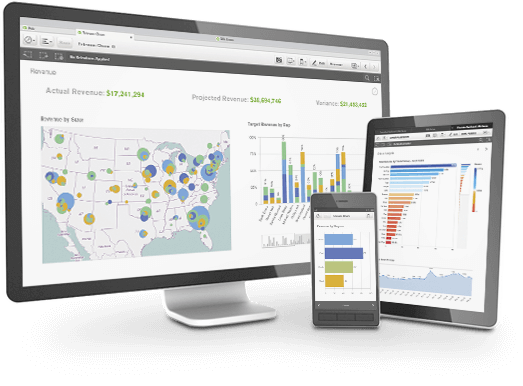 Qlik provides simple interfaces designed for both rich visualizations and deep data exploration. We are able to translate vast quantities of complex data from multiple sources into easy-to-understand and ready-to-use interactive graphics. With Qlik, clients are able to make timely decisions without being limited by static reports. Enjoy instant, real-time data explorations on any device, and share relevant analyses through a centralized hub and through the cloud. Qlik’s in-memory processing compresses data and optimizes power and while maintaining a safe and secure environment. Qlik also utilizes an Analytics Platform which enables us to extend Qlik functionality and design. 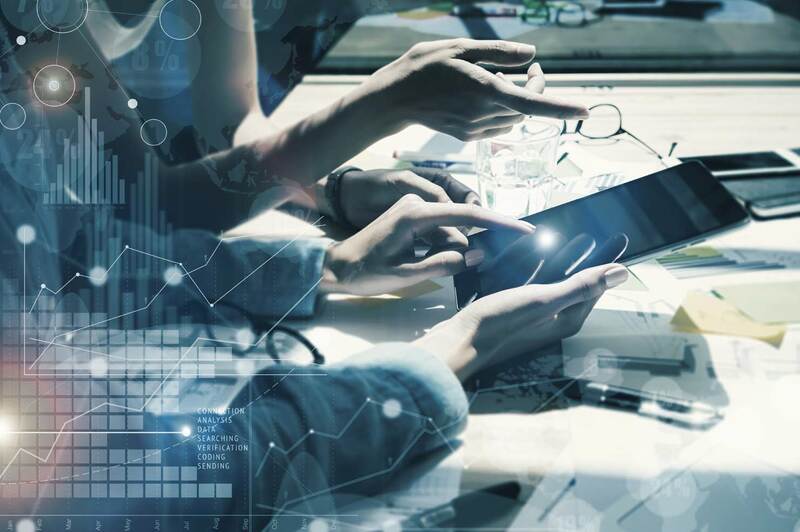 Qlik Analytics Platform allows us to build, embed and integrate engaging and beautiful visual analytics for any device and app on a single platform. Overall, Qlik offers a complete solution that can be customized to suit your organization’s needs to solve the most complex business problems. These are some of the reasons we decided to partner with Qlik and be a reseller of their products.